FOLA was created in 2007 following the renovation and restoration of the Ludlow Town Hall. 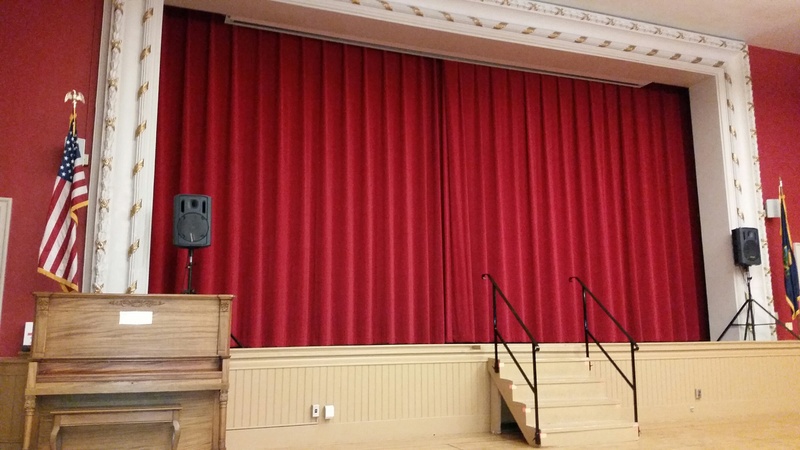 Because of the vast improvements made in the auditorium section of Town Hall, a group of area residents gathered together to ensure that this much enhanced facility was used to the fullest. FOLA’s only objective is to foster the use of the auditorium and to promote new uses (such as family movies and concerts). FOLA has taken every step possible to make as many events in the auditorium free. Of course, donations are appreciated to enable FOLA to recover its costs of these events. Those events that require tickets are very few and every effort is made to ensure that ticket prices are within everyone's budget. FOLA was incorporated in the State of Vermont on September 29, 2009 as a non-profit corporation. In January 2012, FOLA formally applied for tax-exempt status under Section 501 (c)(3) of the IRS regulations. The IRS granted FOLA 501 (c)(3) status on March 12, 2012 (see approval letter by clicking here). Funding for FOLA operations and activities is derived from membership fees, donations, and grants. Membership is open to everyone interested in pursuing the goals of FOLA; detailed information on membership is available at the membership section of this site. FOLA is governed by a Board of Directors that is nominated and elected each year at its January membership meeting. Additional information is available at the Documents and Organization sections of this site.